Happy Holidays from Voyageur Outward Bound! 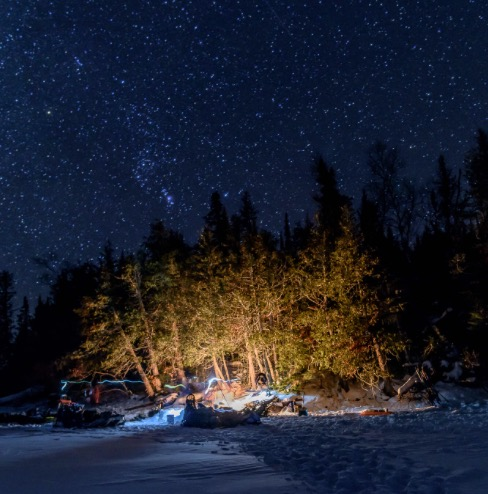 The holiday season is upon us and here at Voyageur Outward Bound School, we are filled with both gratitude and appreciation for all that has happened in 2018. We are grateful to our donors and grant/foundation support for helping us serve over 2,000 students throughout 2018. We are grateful to our staff, for working tirelessly, day in and day out, to provide exceptional student programming, and a high standard of safety and service to everyone you interact with. We are grateful for each other, for providing an incredibly supportive environment along with bringing passion each and every day with you to this work. And we are eternally grateful to our students and partners, without you, we couldn't and wouldn't do what we do. Your stories inspire us, each and every day, and we are continuously amazed at the incredible human beings and moments of compassion and service we encounter on a daily basis. As we wrap up this year, we are reminded that there truly is, more in us than we know, and we will be entering 2019 with a sense of adventure and excitement for all that is to come. The story of two young women from Yugoslavia, a $100 bill, and an act of kindness from a stranger on a plane. Course start dates: December 27 or 28, January 5 or 12, February 2, 9 or 23, March 2, 9 or 16. Featured Course: 10 Days, 18+, February 7-16, 2019. What's it like in Big Bend, Texas you ask? and Big Bend Ranch State Park. "We are grateful to work with institutions and individuals who care about creating compassionate and ethical community... this year, as in past, we co-designed and delivered a 23-Day Leadership Expedition -- Experiential Leadership Through Wilderness Expedition -- to launch St. Norbert's innovative Gap Experience. Students backpacked, climbed and paddled, learning through each other, for each other. But VOBS is just the beginning of an amazing adventure that takes students across our country and beyond." It is the people that make Outward Bound the powerful change agent that it is - and has been for over 75 years. Our vibrant culture is comprised of individuals who are passionate about personal and professional growth, committed to serving others and excel at finding joy working with students in both urban environments and remote wilderness areas. Applications are now open for 2019 Field and Intern Positions!